Neuroscientists agree that the best way to learn through flashcards is through a system called spaced repetition (SRS). It is the main principle behind most flashcard systems available today. Why is it so popular? Because it works. Polyglots and Omni-Glots have been using SRS for years, and you can too! Anki is one of the oldest, and well established flash card applications online. It’s also free. 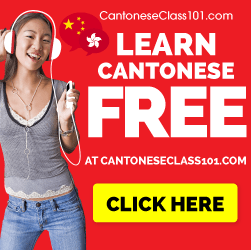 With a constantly updated content library that is sourced from a vibrant community of serious language learners, anki is a great solution for learning Japanese and Chinese. You can customize how the flash cards display. The card deck that I’m using first plays the audio and then you show yourself the answer. You can grade yourself based on 3 levels, and the card will repeat within 1 minute, 10 minutes, and 4 days. Almost all things about anki are customizable and the online community has a large content library of courses. It is a very DIY solution however, and those less tech minded / lazy people would not be as excited about the prospect of having to build your own flashcard solution, by first downloading an application and then finding a vocabulary list to install. 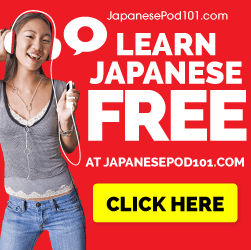 In order to get the most out of anki, I suggest checking here if you’re a japanese learner. Anki Japanese Courses I recommend the core 2000 list. All in all, if you’ve studied the basics of a language, anki is a great solution, however it may not be beginner friendly. Memrise was founded by Ed Cooke, who has won a Global world memory championship. Ed can memorize the sequence of a randomly shuffled deck of cards in under 1 minute. So the person behind this tool actually really knows what he’s doing. And memrise is not only effective, but its also pretty. Some of the cooler features of memrise include the fact that each course has a leaderboard where you can daily rank/ weekly rank with other learners who are learning in the same course. You can see how you rank with your friends as well, because there is a weekly, daily, and monthly general leaderboard. Unfortunately, the only way to tell if you are globally ranked is if you manually add people to your follower list. (a reaction to people gaming the system for points and cheating with bot programs). Memrise, like anki has a large and dedicated community of learners. Recently, memrise just launched their premium service which provides detailed learning analytics so you can track which words you should study the most. All-in-all, if you thrive on competition, you shouldn’t have any trouble learning with memrise. Just make sure that you constantly add friends from courses that you take.